Now, you can upgrade your existing ligature to the Mass-Loaded Technology™ with the revolutionary TurboCharger Kit. The results are unbelievable! Increased power, a more focused core sound, greater projection and a resonance that will fill the room. From a soft, dark haunting sound to a brilliant, expressive full bore fortissimo, hold on to your hat! Designed for the new Rovner StarSeries, Legacy or older EVO models. The kit includes two specially designed Mass-Loaded Technology™ Weights, which fit over the existing pins, and a new screw & nut. 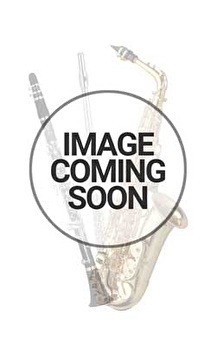 Short weight set which is suitable for Soprano Sax, Alto Sax or Clarinet. The added weight gives extra presence and core to the tone. Suitable to retro-fit onto Star Series, Legacy or Evo Rovner models. Great way to add power to your sound for a small financial outlay.